With Halloween right around the corner, there’s nothing more exciting than finding the perfect costume for your little ones. And while you can always purchase costumes that are already completed, do-it-yourself outfits have a special homemade touch that can’t be topped. Keep reading to get inspired by our favorite DIY ideas this year! 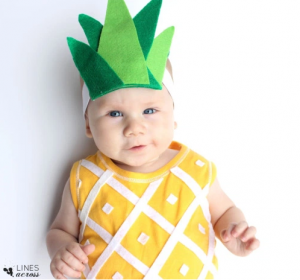 Go tropical with this simple costume idea from Lines Across! You can transform a plain onesie into a work of art with just a few pieces of felt and some items around the house. 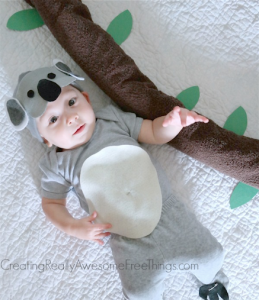 It just so happens that babies also make adorable koalas! Click the link above to find the full directions, as well as a template for the koala mask. Mustard is the color of fall! 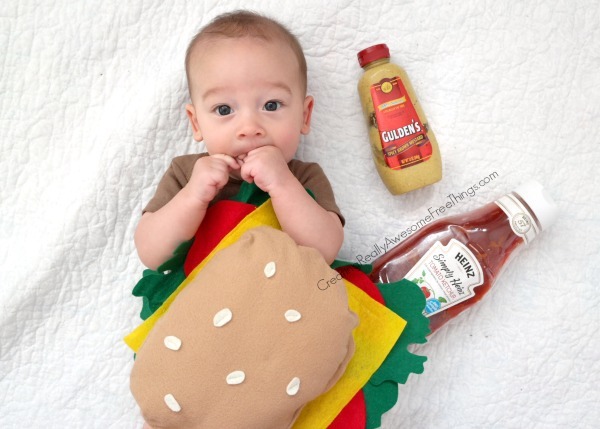 Take the trend in a new direction and even add some ketchup with this hilarious hamburger baby costume from C.R.A.F.T. The instructions suggest the use of a sewing machine, but you can also use hot glue if sewing isn’t your thing. 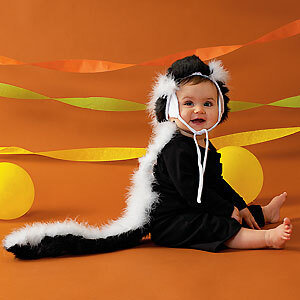 Turn your little one into a little stinker for Halloween with this clever idea from Little Homes! No dentures required! Cruise all through town with this hilarious costume from Costume Works. 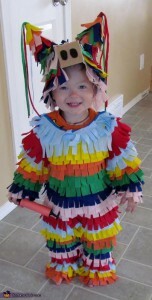 Always the life of the party, you’ll love the festive flair this piñata costume brings on Halloween! Hoping for something out-of-the-ordinary? 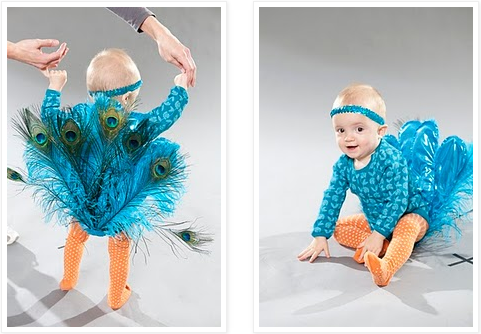 Look no further than this DIY peacock attire from Creatively Christy! 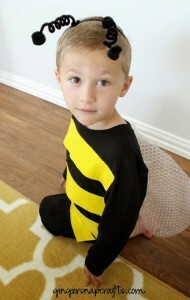 The costume is equally fun to create as it is for your little one to run around in. This costume is all smiles! 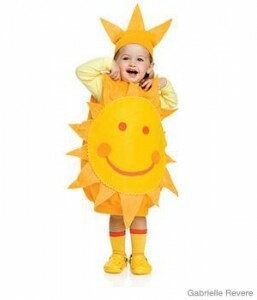 You can guarantee the sun will be shining brightly on halloween if you have a personal ray of sunshine to help. 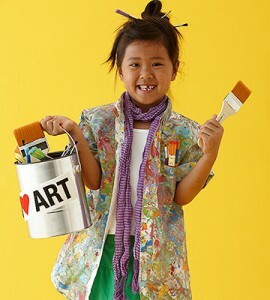 Dress your little one like the inspirational painter for a unique take on this year’s Halloween costume! Ooh-la-la! 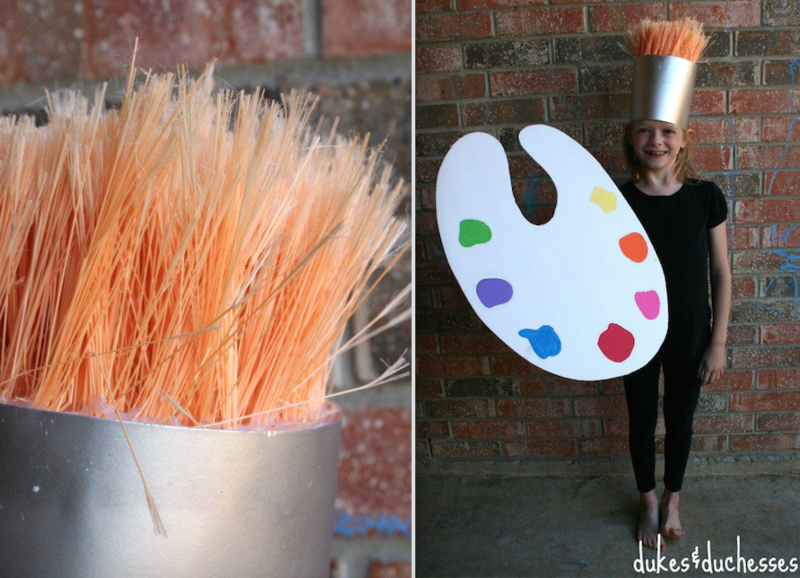 Get creative this year with an artist-styled costume. 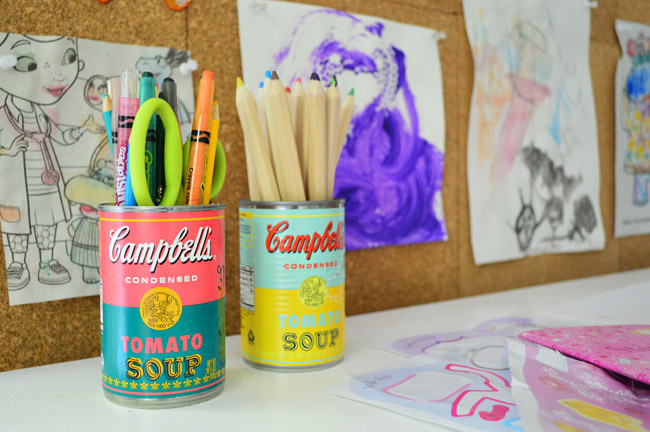 Complete with an empty paint bucket to hold candy, you’ll love this silly style. 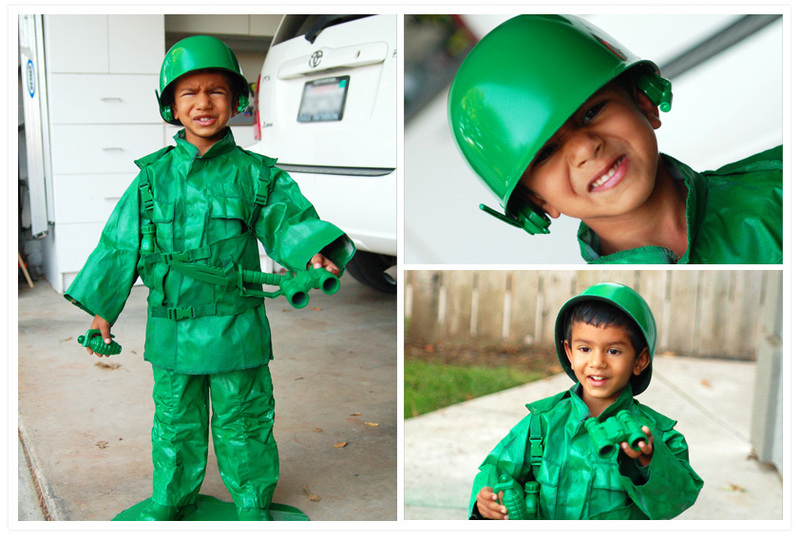 Go beyond the camouflage and recreate a life-sized toy soldier costume for your little guy! He’ll love playing in it long after Halloween ends. This buggy attire will have your little one buzzing with energy all day long! Find the full directions from Ginger Snap Crafts for an easy tutorial. Bring back the summertime flavor with your very own little tomato. 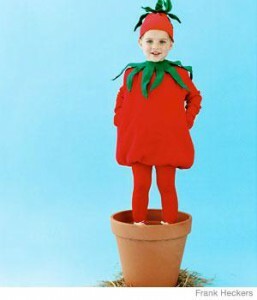 Even better than the garden-grown variety, this costume will bring smiles all around! What better icon to imitate than this classic salt trademark? Put together your own yellow dress using the link above, or find one in stores to complete the outfit! 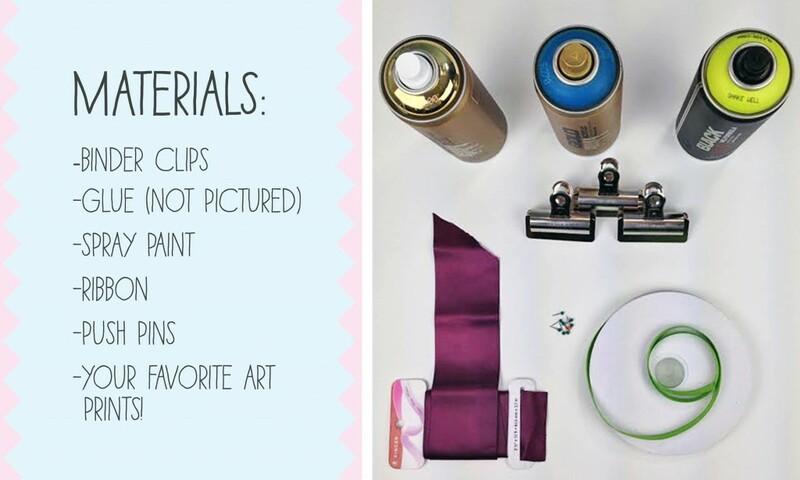 This artistic outfit is an easy way to get creative in a whole new way. 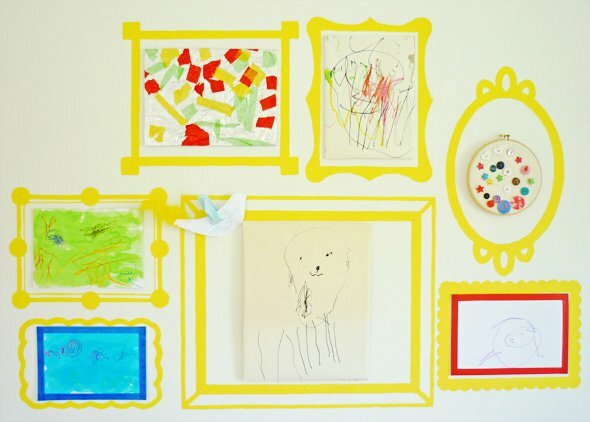 Not only will you feel crafty when putting it together, but your child will get to explore his/her inner painter as well! Note: In addition to the items listed as necessary for each costume, you may also need scissors, a hot glue gun and/or safety pins. 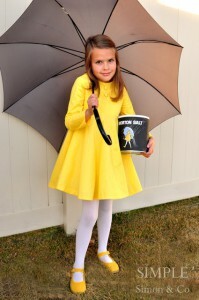 We hope you are inspired to create your kids’ Halloween costumes this year, as well as to get crafty with your ideas! 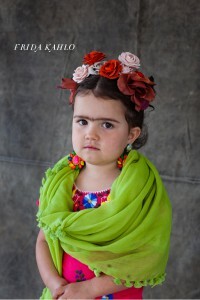 Do you have any creative costume ideas for kids? 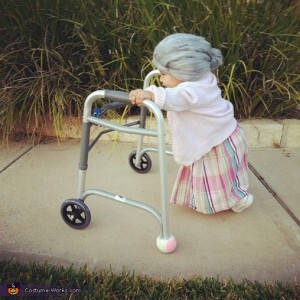 What was your favorite Halloween costume as a kid? Let us know in the comments below! 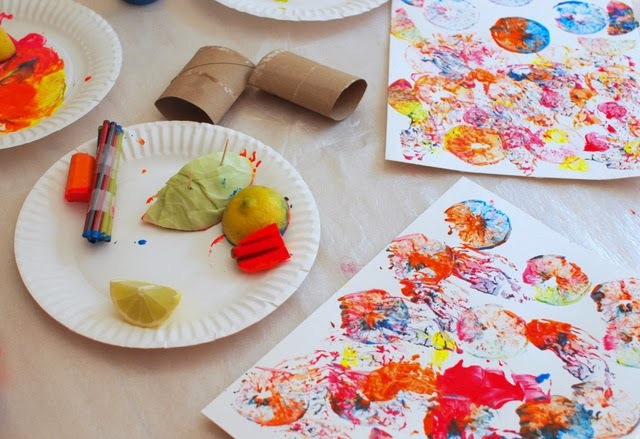 This idea from Kiwi Crate is even better than finger painting! 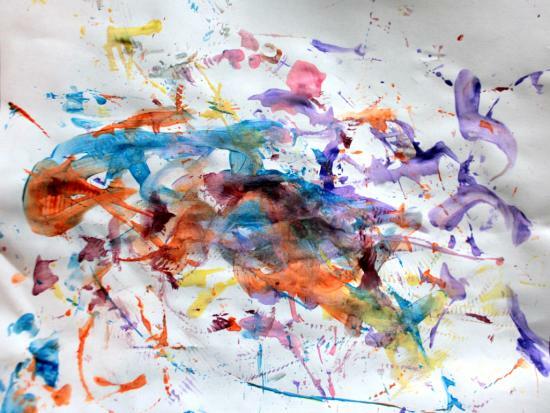 Try swirling a piece of string around to explore the magic of color and shapes. 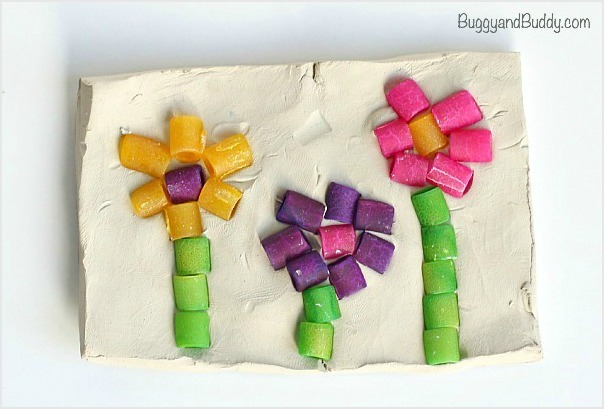 Buggy and Buddy offers a clever solution for making kid-friendly mosaics. 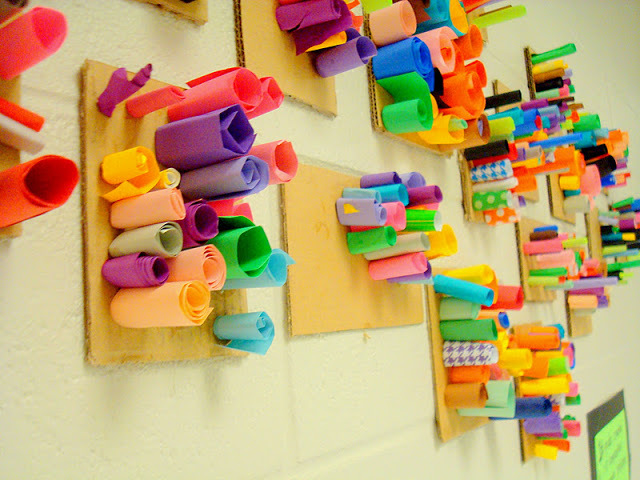 These colored noodle and clay pieces are great vehicles for cute objects and abstract shapes alike! With fall right around the corner, this activity is a great way to show your kids all the unique textures in nature. 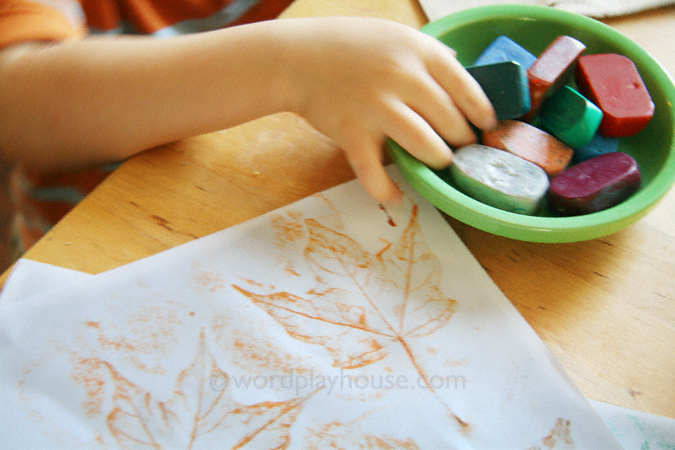 Wordplayhouse provides a terrific demo for making the leaf-pressing process as easy as possible. 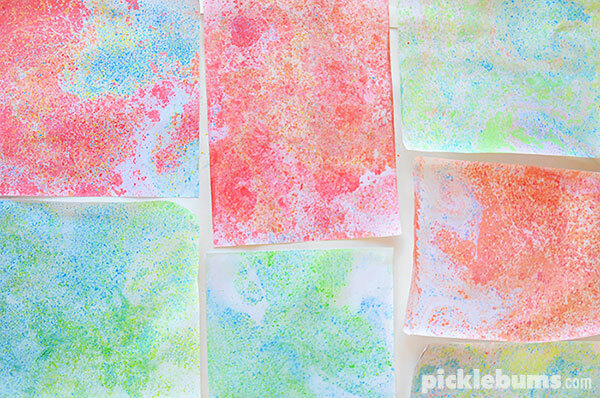 Stamping is even more fun when fruit-shaped! 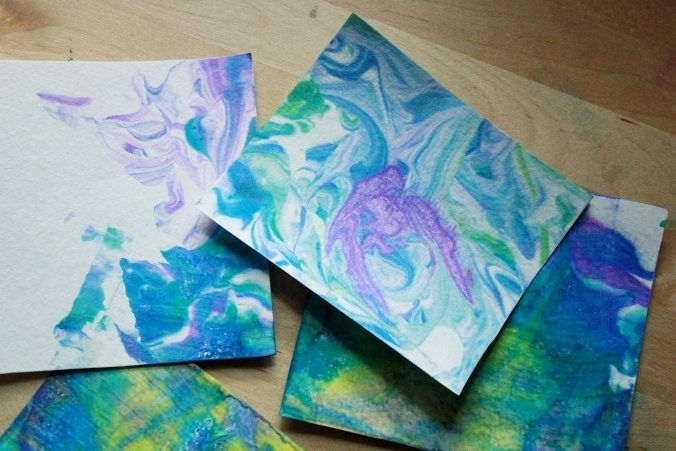 Check out Pink Stripey Socks’ tutorial to learn three different ways to press, print, and play. 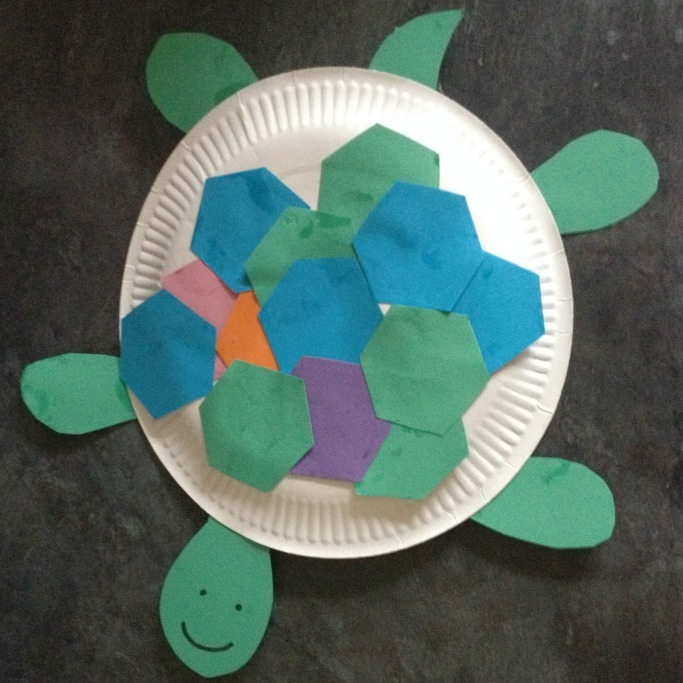 Try using paper plates to make sea turtles, as shown by Crafts on Sea. Besides being adorable, you probably already have all the materials on hand! Recycle your magazines in a new way! 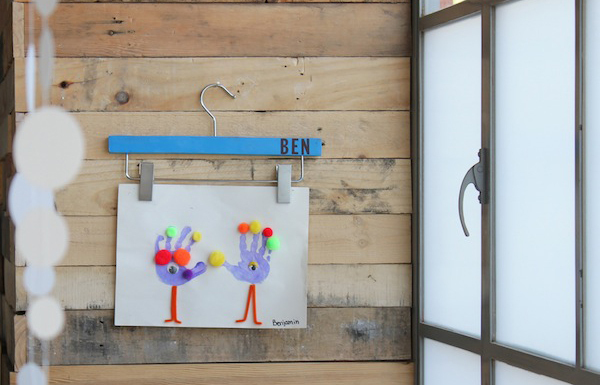 Using a few sets of scissors and glue, this project from Kids Activities Blog is a great way for you and your little ones to make wacky designs together. 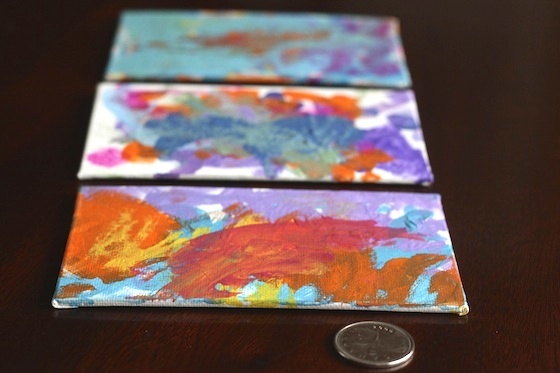 Both small and playful, these adorable canvas magnets from Happy Hooligans will add a bright pop of color to your refrigerator. It puffs and looks pretty! Consider the possibilities of this unique art experience at Tiny Rotten Peanuts. Equally fun to touch as it is to scrape off, this project is worth the mess due to stunning end results. 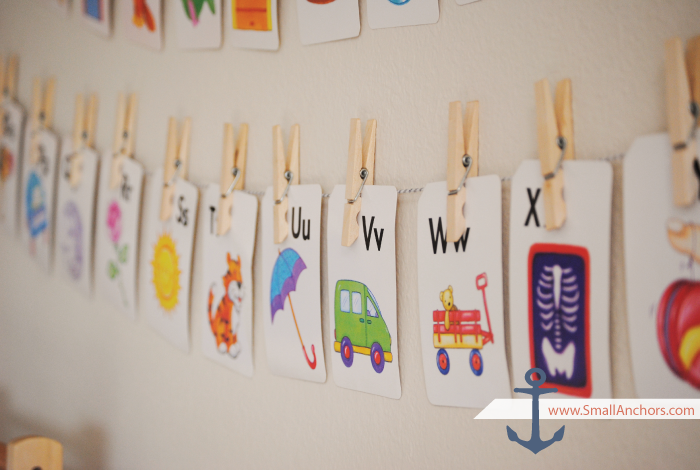 Check out the full tutorial on The Artful Parent! 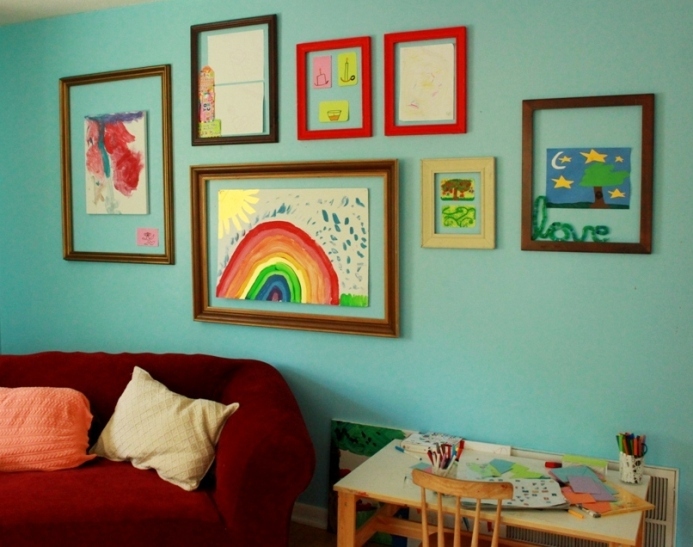 The kids will love curling the paper, and you’ll love hanging the finished products on your walls. Thanks to Art Actually, this project is easy to follow and fun to complete! Talk about a beautiful and unique printing activity! 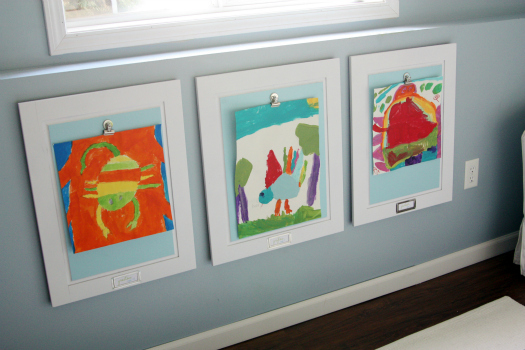 Picklebums has great tips for creating these stunning pieces with your kids. 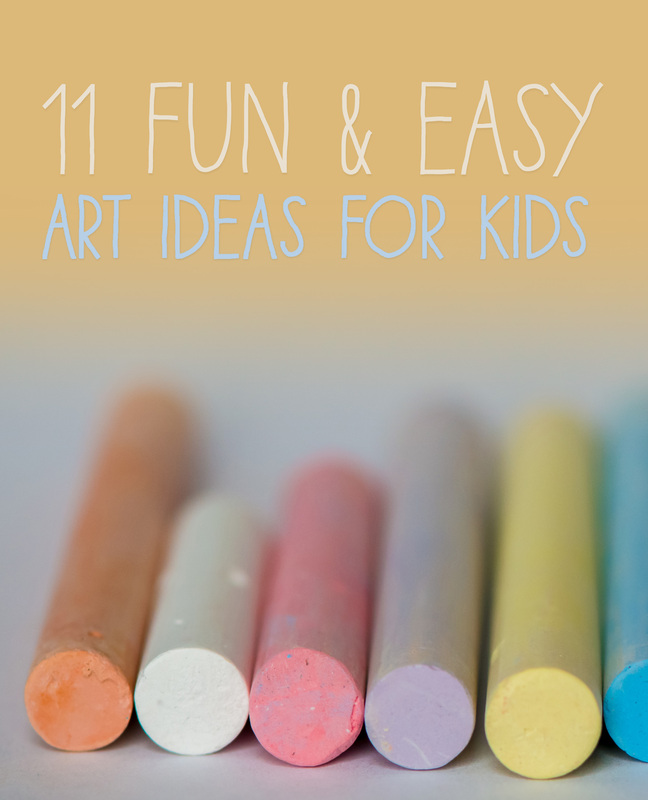 Whether used as a rainy day activity or to make homemade gifts for family, art projects are a fun way to explore your kids’ creativity. 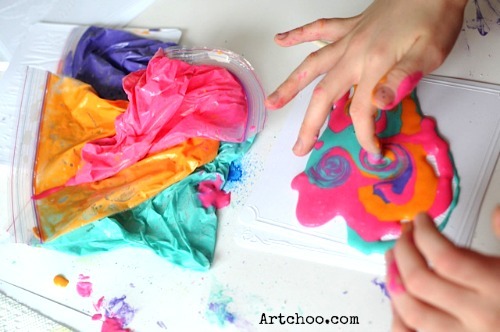 We hope you are inspired to express yourselves with these ideas, as well as to enjoy the messy delight of art together! 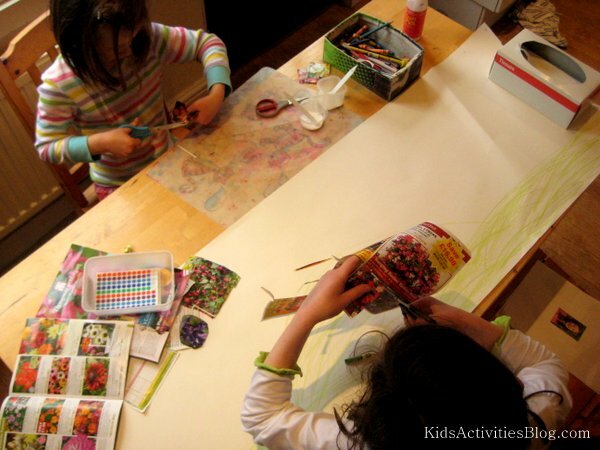 Do you have any art projects of your own to try? Let us know in the comments section below! Looking for a unique way to showcase your art? 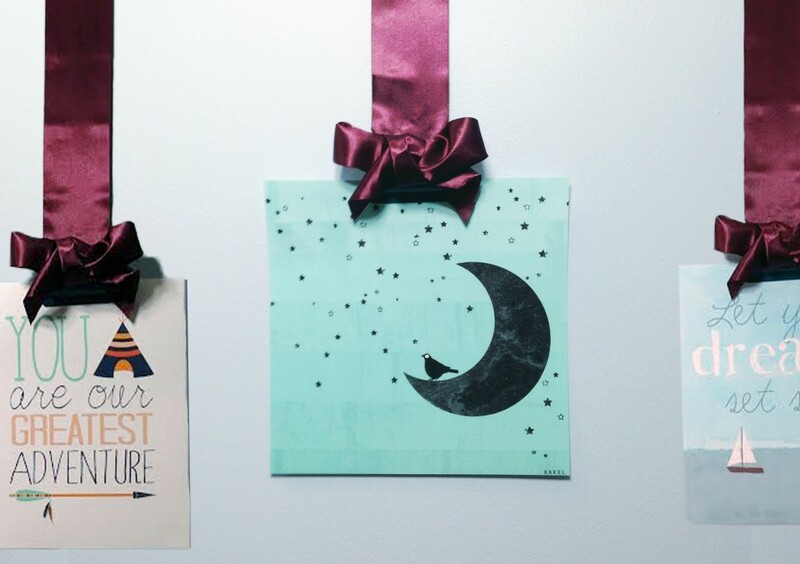 This easy DIY is a great way to spice up your walls without breaking the bank! First, round up your materials. All you need are a few household items, but you can take your project to the next level by using spray paint for a little hint of extra color! 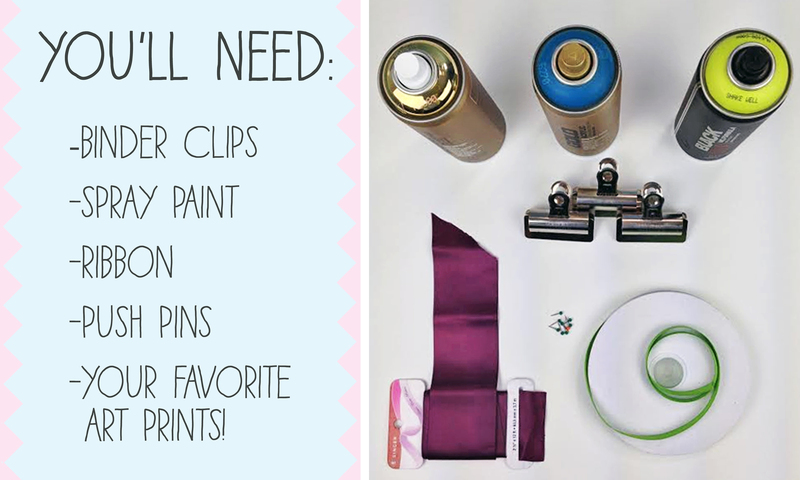 As you can see from the image, you’ll want binder clips, ribbon, a few of your favorite art prints, and push pins to attach it all. 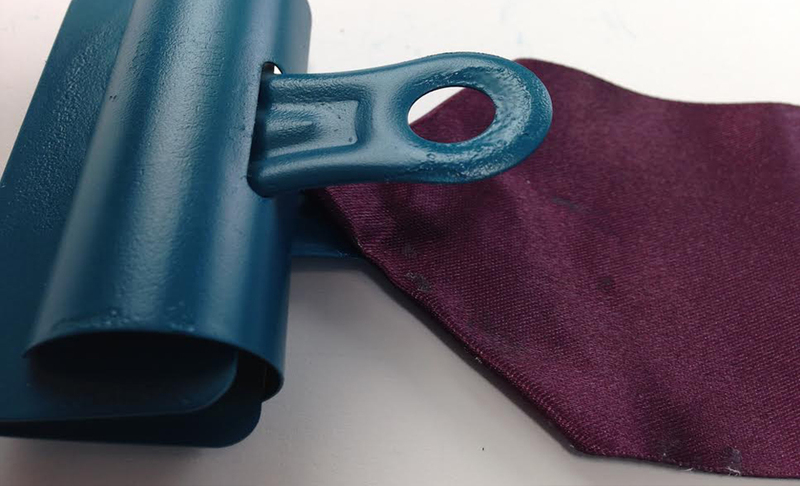 Add spray paint to your binder clips for added color. Spread some scrap paper outside, hold the spray can 6-12 inches away, and spray until no silver shows through. Once dry, flip the clips to the other side and repeat! After the binder clips have dried, attach a strip of ribbon to each of the clip backs. We used Future Glue, but you can use any brand of super or gorilla glue! Remember to give yourself some wiggle room and add extra ribbon lengthwise so you can make adjustments later. Time to cover up the glue stains! Just tie a few bows from your leftover ribbon and attach them to the fronts of the binder clips. Open, clip, and done! 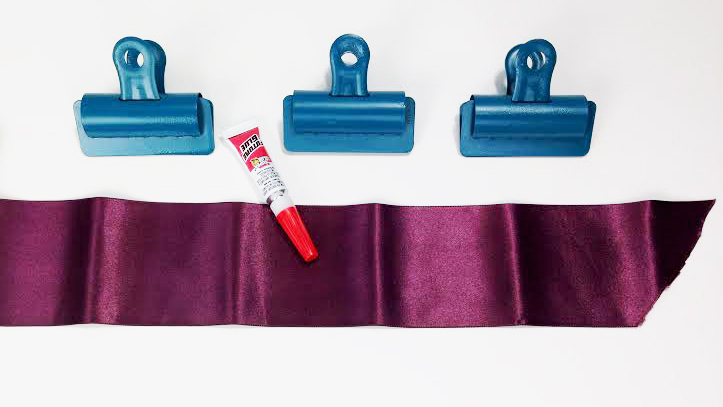 To attach your creation to the wall, adjust the ribbon length as needed, cut and place your ribbon where the wall meets the ceiling, and add a few small tacks to hold your project in place. Ta-da! A perfectly fabulous way to showcase your art! 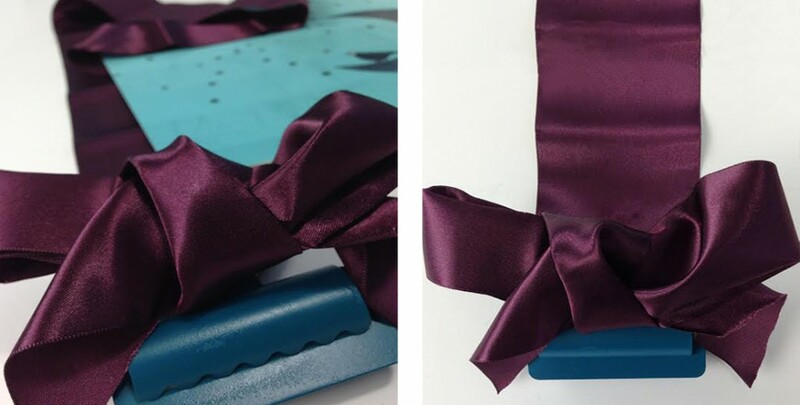 We used a single roll of thick ribbon for the prints, but you can also intertwine lots of ribbons together! 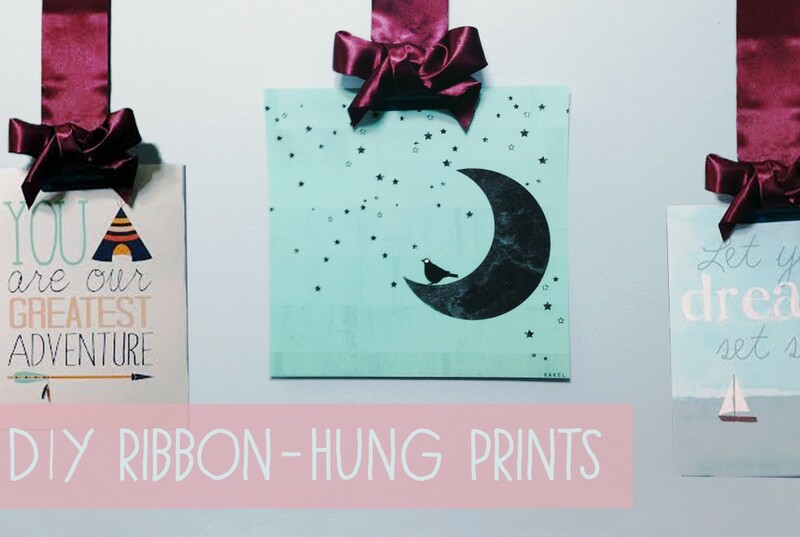 If you have an empty wall column, hang all your prints on a single piece of ribbon or hang the bow-coated clips on a few nails instead. 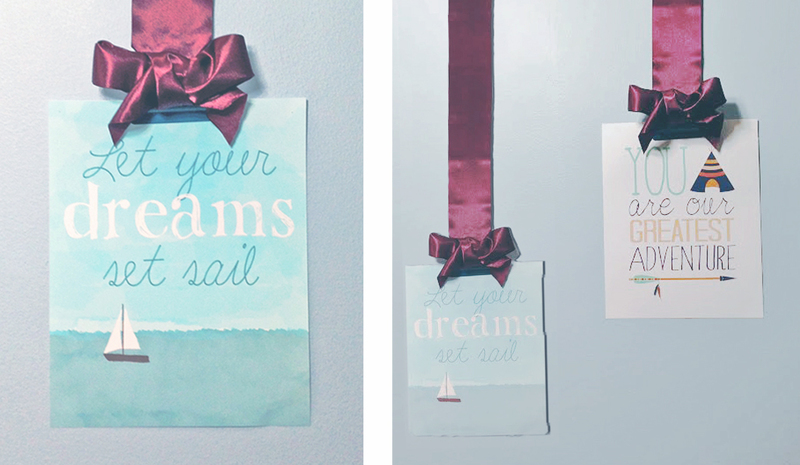 There are so many ways you can make this idea your own, and we hope you’re inspired to do so! 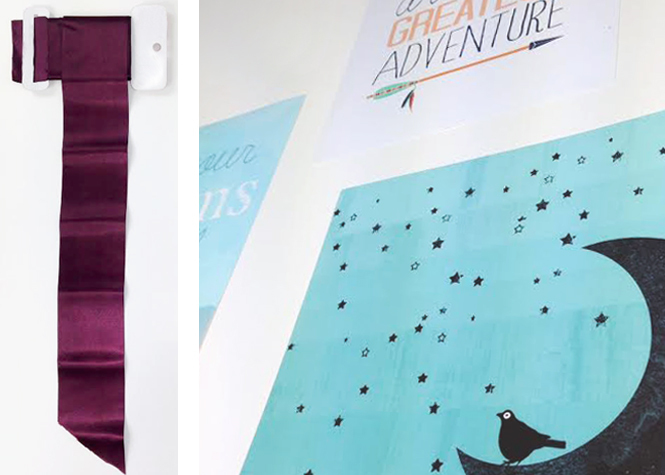 The art prints used in this post are “You are our Greatest Adventure” by Zoomboone Creations, “Moonlight” by Kakel, and “Let Your Dreams Set Sail” by Tumbling After. In addition to these prints, you can find thousands of other amazing designs here! 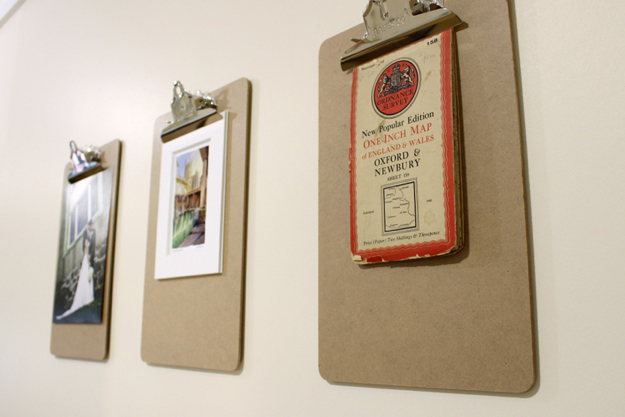 Do you have any art-hanging tricks of your own? Share them in the comments below!